This year at the Cybersecurity Command Center, HIMSS19 attendees should expect to find, in a word: more. 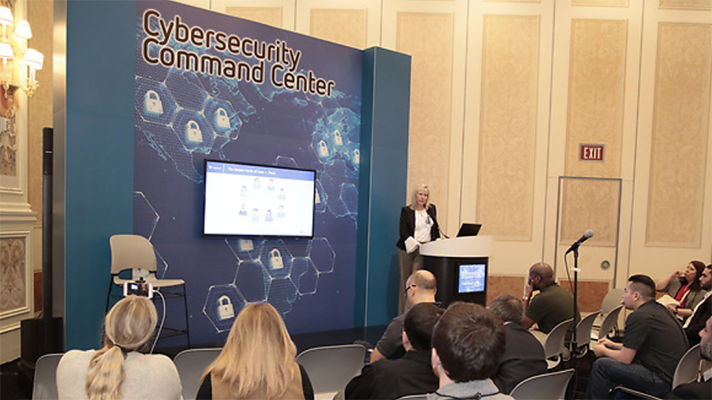 The Cybersecurity Command Center, in fact, will feature more than 90 booths this year, have two distinct theaters and eight different challenges for testing your skills. Specifically, amenable participants can hone their malware-battling prowess, their ability to secure data while earning patient trust – and see how they would fare during an audit. Other challenges offer the opportunity to collect a diagnosis about whether your users have click-fever, prove you are a cybersage, learn how to modernize cybersecurity operations, get an identity score for assessing compliance and security risk and take part in a buzzworthy competition to test your infosec savviness. The two theaters, A and B, feature educational sessions all day on Tuesday, Wednesday and Thursday. Here’s a taste: Cloud security for healthcare is preventative medicine, HIPAA from employee awareness to fan engagement, HIMSS 2019 Cybersecurity results, Emerging security trends in healthcare, Duty of care in information security, global cyber threats, utilizing deception technology to secure data, Simple and inexpensive east-west network security, AI in healthcare, attacking the ramparts to offensively secure your organization, and what song does your security program sing? And those are just a few examples. All in all, the command center offers attendies an array of ways to “learn about the latest and greatest in cybersecurity,” said Kim. The HIMSS19 Cybersecurity Command Center is in Hall A, Booth 400.